Installed in car, still marginally streetable. 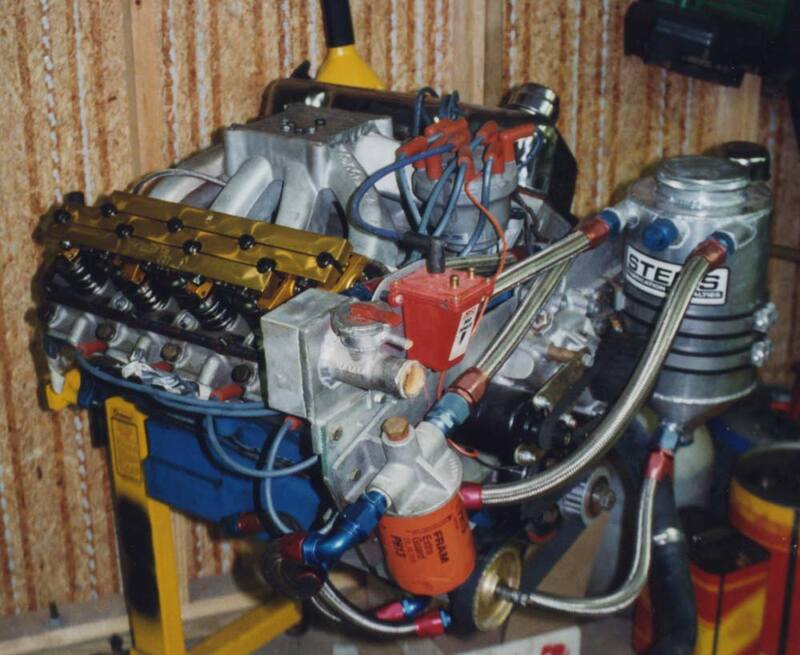 My intention was to run SS/GT or SS/X classes of 10 pounds per cubic inch, single four barrel. The car had a full interior and stock front suspension, but tubs and narrowed 9" rear end with four link was allowed. 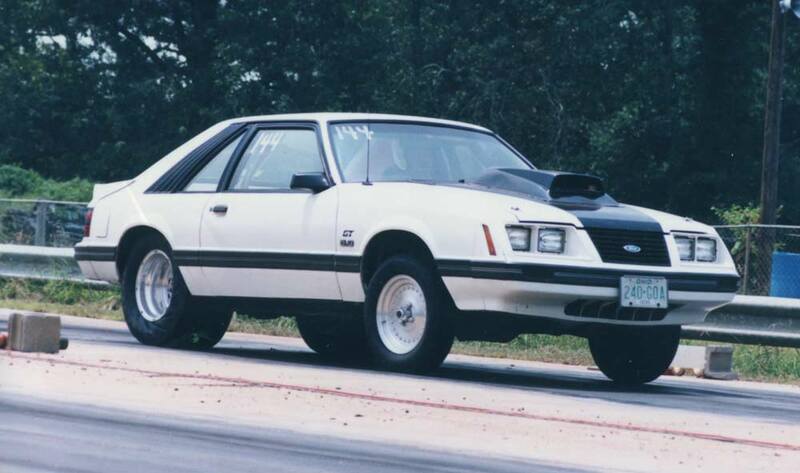 I went through an early Mustang craze also. 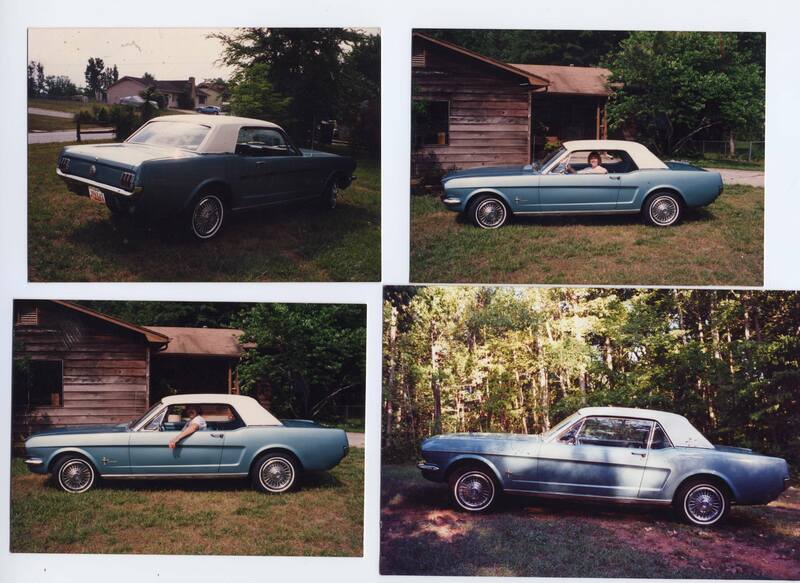 I rebuilt two 1966 Mustang coupes from body shell up. Midnight blue K code 1966 GT with front factory disc brakes, fast steering, 9 inch 4.11 locker, 4-speed. Blue interior, no extra features other than GT, optional 4.11 locker, and 271 HP engine package. With the factory K-code motor it the car ran 15's in the 1/4 mile. This was typical of K code cars, they are not as fast as people remember. I built a late model HO motor up with a mechanical roller cam and World Products heads, and ran low 12's with the same car. This car eventually went to someone in Atlanta. Tahoe Turquoise 66 coupe with factory wire wheel hubcaps. This six-cylinder car had many special features including an 8-track player, console, automatic, and air. 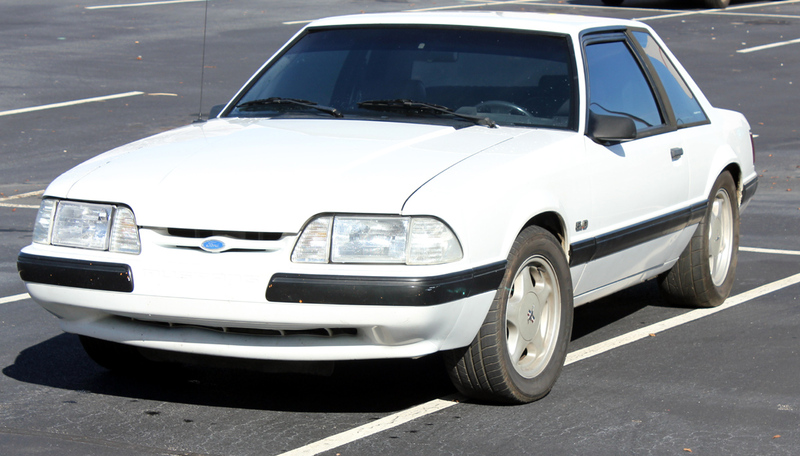 In 1994, the 1966 Mustang below was traded to a Conyers Ford dealer for a new 1994 Cobra. My first brand new car was a 1969 SC Hurst Rambler purchased from Valiton Motors on Monroe Street in Toledo, Ohio. I set a quarter mile D/S record in my 1969 SC Rambler at 12.54 seconds. This was on wide oval tires through factory Thrush mufflers. 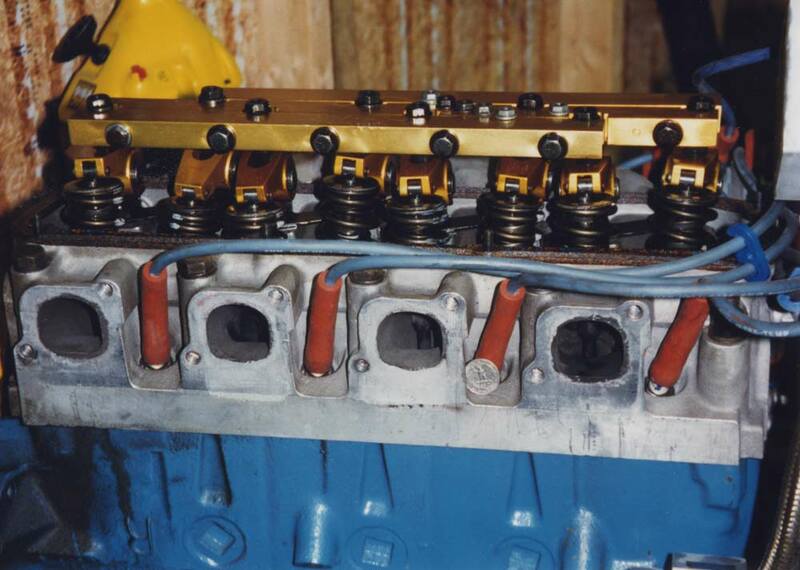 American Motors helped me with a special factory cast iron intake manifold, legal head modifications, and other parts. Oversized red line radial tires with less-hard compound, six-cylinder front springs with 90/10 shocks, revised wider ratio T-10 transmission gearing, and 4.44 rear end gearing helped get the Rambler out of the hole in stock classes. The stock close ratio in the transmission and factory 3.54 gearing resulted in too high a gear (lower numerical ratio) when leaving the line. Steeper gearing, through a wider ratio transmission gear set and 4.44 rear end gearing allowed a near off-idle launch without lighting the tires off.